After the meeting, we go to Pulau Ubin! 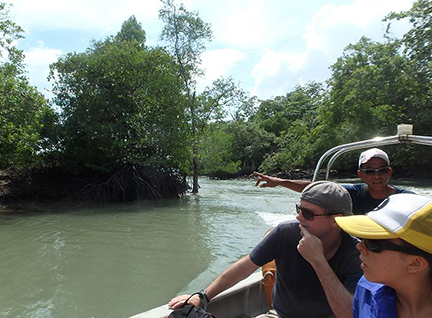 Phillip provides us with not just a ride across to Pulau Ubin, but also ground information and wisdom on the status of mangroves on Ubin. 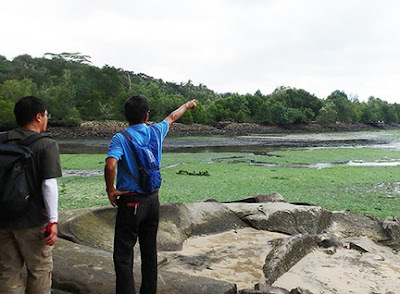 Phillip knows a great deal about the aquaculture industry on and around Pulau Ubin, which will help us tremendously as we attempt to restore the mangroves here. We are also finding synergies with ongoing surveys and studies related to mangroves and marine life at Pulau Ubin. There are dubbed RUMbrella by Dan. 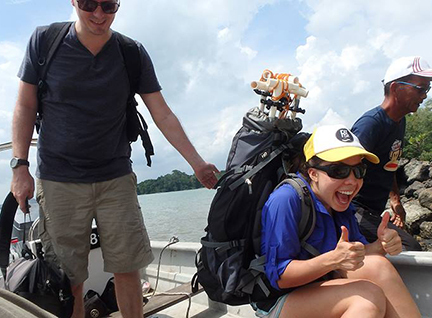 The first such survey is Rayna Ben-Zeev's work studying fishes in Ubin and the Johor Strait. Here's a brief glimpse of her work on facebook. 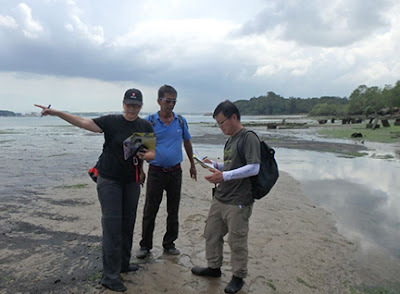 In the weeks after, with the invaluable support of Phillip Lim of the Pulau Ubin fish farmers, Rayna Benzeev and her colleagues did fish surveys including some of the ponds that will be included in the Restore Ubin Mangrove (R.U.M.) Initiative. On 8 Mar 2016, a small team of RUMblers did a recce to map the trash situation at the southern abandoned ponds. We need to clean up the ponds BEFORE we start the restoration so that the new mangrove trees and plants have a good start and grow strong and healthy. Once again, we are fortunate to have Phillip Lin of the Pulau Ubin fish farmers to share with us his extensive knowledge of the history and the ground situation of the area. 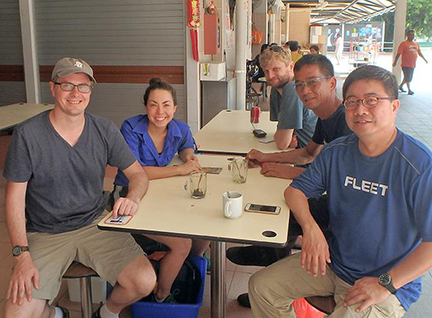 Thanks also to Lisa Lim and Richard Kuah Boon Tiong for organising the trip. And Stephen Beng too. We will need to do more reccees to find out what trash is present at the ponds and work out a plan to remove them. More about our trip on facebook. On 20 Mar, Nature Society (Singapore) volunteers removed 57kg of fishing nets and 134.5kg of other trash during our Coastal Clean Up at Pulau Ubin. More on their facebook post. 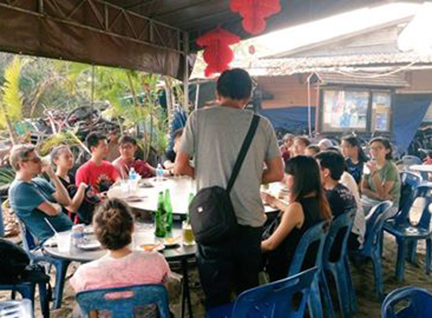 On 9 Apr 2016, Dan Friess brought his students on a field trip to visit Pulau Ubin, Chek Jawa, its mangroves and the RUM sites. 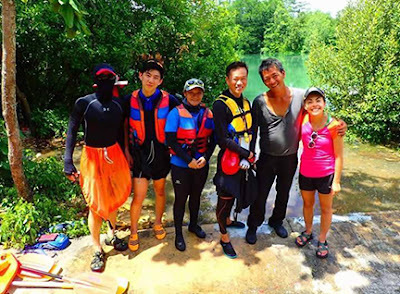 Once again, Phillip shares more about his on-the-ground experience. Getting ready for Pesta Ubin! 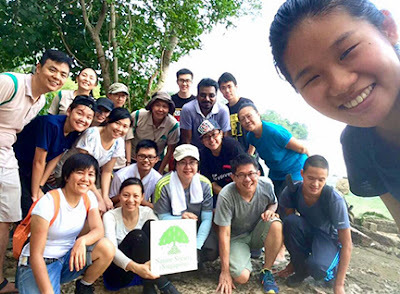 The RUMblers are now getting ready for Pesta Ubin where we plan to have many exciting activities for the public to learn about Pulau Ubin's awesome mangroves and how we CAN make a difference for them!